Rev. Clifton E. Dollison has served the First Missionary Baptist Church (FMBC) of Winter Haven with distinction and humility for 27 years. As the longest serving Pastor in the church’s rich 138-year history, his visionary leadership resulted in the largest building program expansion the church has experienced, creating a beautiful, enlarged sanctuary, additional classrooms, fellowship halls, meeting spaces, and administrative offices. Rev. Dollison has a passion for community service and a fearless commitment to confront justice issues in Polk County. That dedication finds expression in his roles as past Co-Chair and current Board Member for: the Polk Ecumenical Action Council for Empowerment (PEACE) of Polk County, a grassroots social justice organization for positive change; and the Direct Action and Research Training Center (DART), comprised of PEACE and 20 other affiliated nonprofit, congregation-based community organizations, throughout Florida, Ohio, Kansas, Kentucky, Indiana, South Carolina, Tennessee, and Virginia. DART’s mission is to build the power of organized people to do justice. Chairman, Pastoral Development Conference for the Progressive Missionary & Educational (PM&E) Baptist State Convention of Florida, Inc.
Past President, Interdenominational Ministerial Association of Polk County, Inc.
Rev. Dollison is a native Hoosier from Indiana, graduating from Indiana State University and Central Baptist Theological Seminary, and is a member of the Kappa Alpha Psi Fraternity. 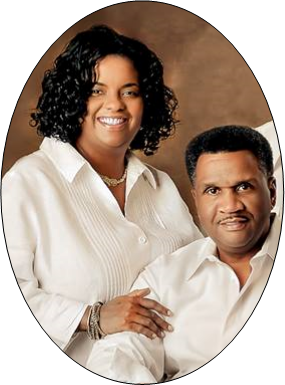 He has shared the past 37 years of his life with his lovely wife, Valerie Bush Dollison, a native of Bartow, Florida and they have three adult children, Trista (Dr. Clarence Manuel), Bradley (Indya, granddaughter Amerie), and Austin (daughter-in-law Erica). They eagerly await the arrival of two more granddaughters in the first half of 2019! This man of God unabashedly gives praise to Jesus Christ for his many accomplishments and he shares his love for the work of ministry…but Rev. Dollison believes that actions speak louder than words.